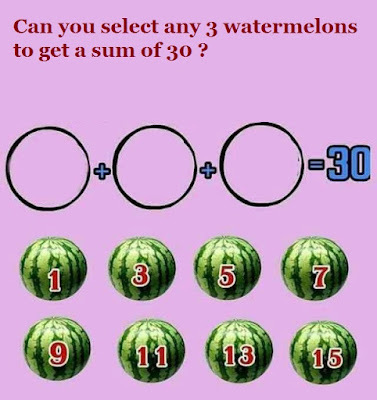 Question: Can you select any 3 watermelons to get a sum of 30 ? This is a bit tricky puzzle. Comment if you get the answer! !